Another favourite place on the north shore of Lake Superior is Red Rock. This town is located at the mouth of the Nipigon River on a bay that is protected from the big lake by St. Ignace Island. Nestled between cliffs and the water's edge, the town feels protected from the elements. Each time I have visited Red Rock, I have come away feeling a sense of calm. 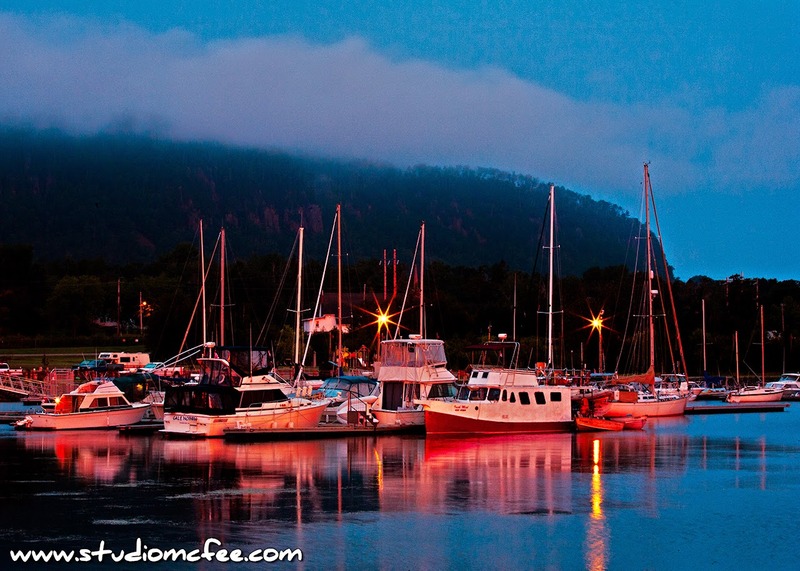 This photo, of the harbour at dusk, captures some of that tranquility.